Relaxed and professional beauty salon in Wakefield city centre. The Beauty Rooms has been established for over 20 years and was the first branch to be opened by the highly successful Mint Nail & Beauty chain. The Beauty Rooms has a very different feel to other Mint Salons as we offer an extensive range of advanced and specialist beauty treatments provided by our highly skilled therapists. 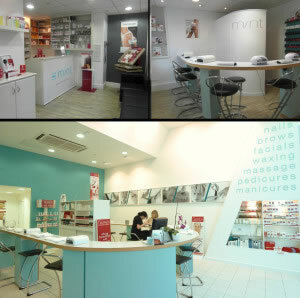 We are owned by Mint so can also offer Mint expertise in nail treatments. You can visit the Mint website for more details. At The Beauty Rooms we offer a wide range of beauty treatments to get you looking and feeling fabulous. Our Body sculpting treatments pick up where exercise & diet leave off. A wide range of IPL beauty treatments from skin beauty through to hair removal. Our nails menu offers incredible choice and affordability. And don’t forget the toes. Take care of tired eyes. Remove unwanted hair with our waxing & threading treatments for face and body.